In Long Term Evolution Advanced (LTE-A) several new features have been added to deal with the ever-increasing demands for higher data rates and spectral efficiency. One of the key features that the Third Generation Partnership Project (3GPP) has introduced is the Relay Node (RN), a low power low cost device used to increase the spectral efficiency, especially at the cell edge. 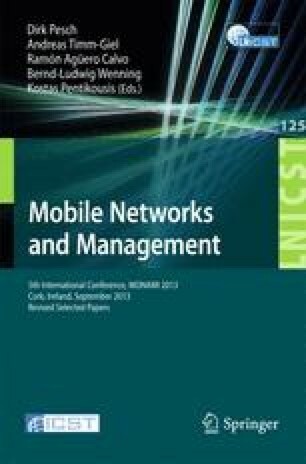 In this paper, we propose to use RNs to address a challenging new problem emerging on the horizon: the expected tsunami of Machine-to-Machine (M2M) traffic in cellular and mobile networks (in LTE, and LTE-A). By taking advantage of RN’s low cost, low power, and small size we outline the challenges of and one possible design for using RNs to integrate M2M traffic in LTE-A. To the best of our knowledge, this is a novel idea that has not yet been proposed and may give RNs more longevity and therefore greater value.